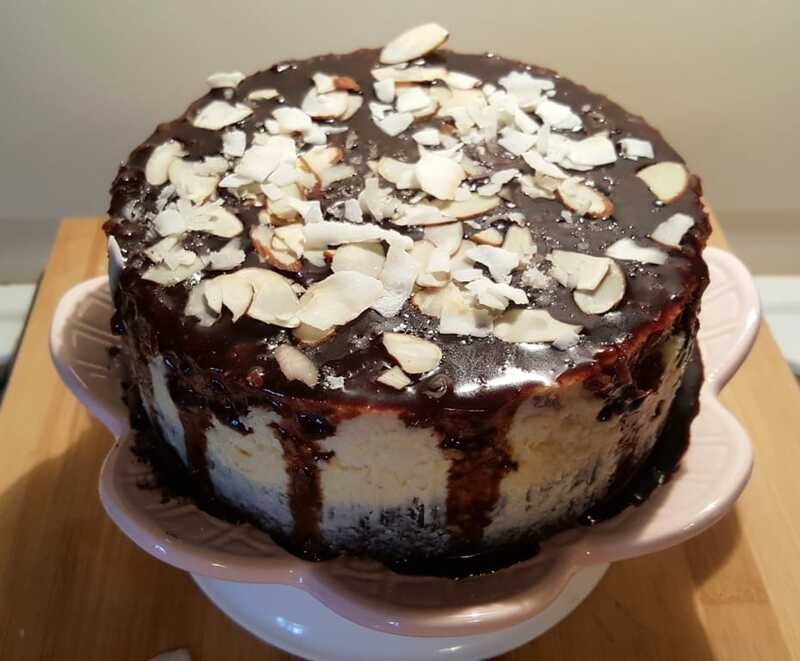 Pressure Cooker Coconut Almond Fudge Cheesecake is a rich and dense cheesecake filled with almonds and coconut and topped with Chocolate Fudge Ganache. 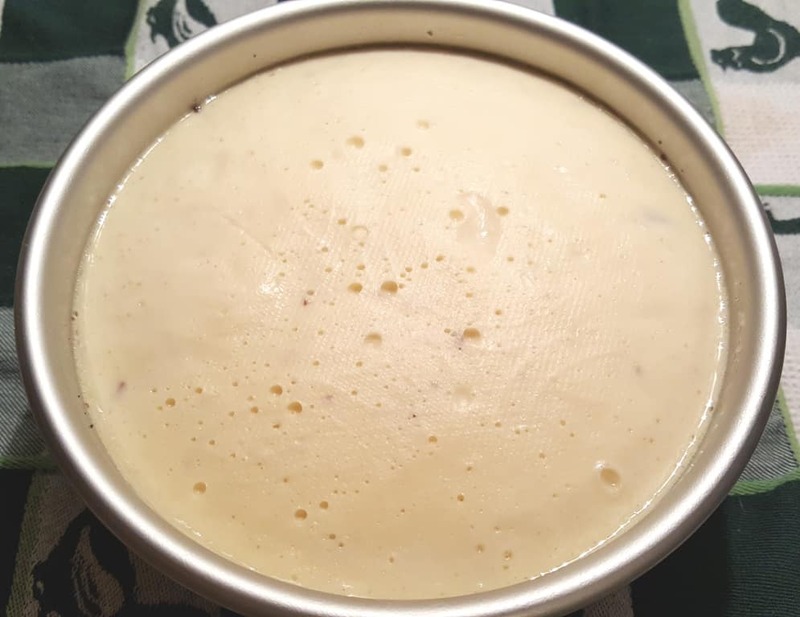 Pressure Cooker Cheesecake is like a thing now, you know? 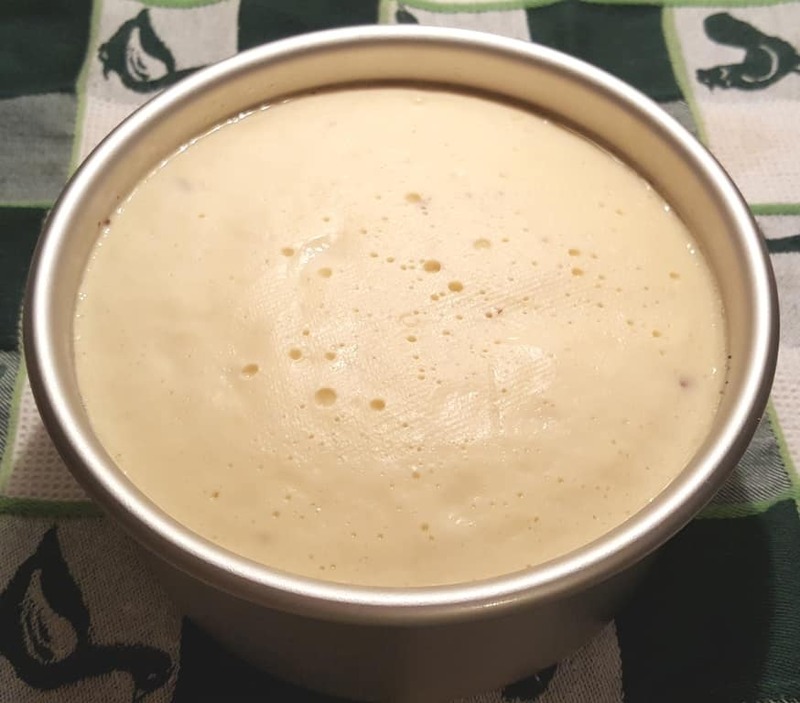 Based on my hugely popular Lindy’s Pressure Cooker New York Cheesecake, this Pressure Cooker Coconut Almond Fudge Cheesecake is a bit more work, but oh so decadent. 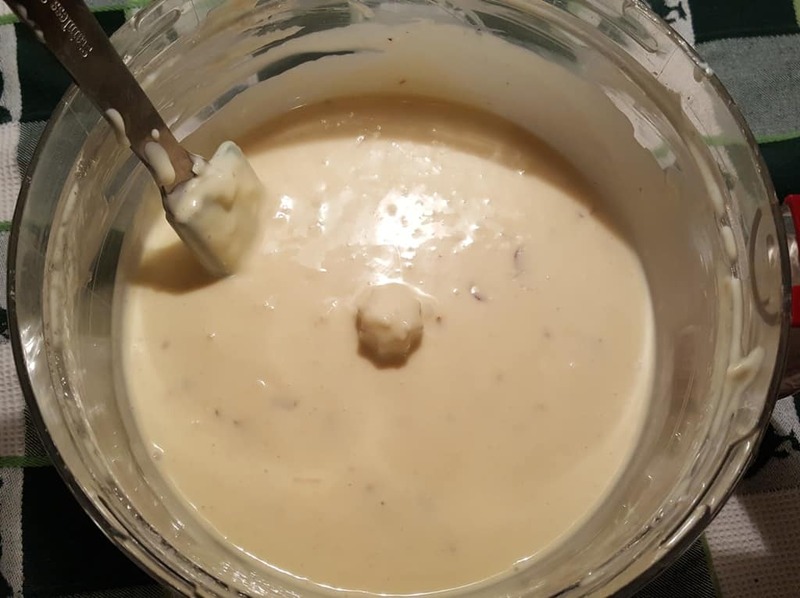 It is rich and creamy and dreamy. I’m not much of a chocolate person, like, you will never see me eating a piece of chocolate cake or a bowl of chocolate ice cream. Candy bars, now that is a different story. Zero Bars are my favorite, with Heath, a close second. Anything with coconut in it, is my kind of food. I do love Almond Joy candy bars. 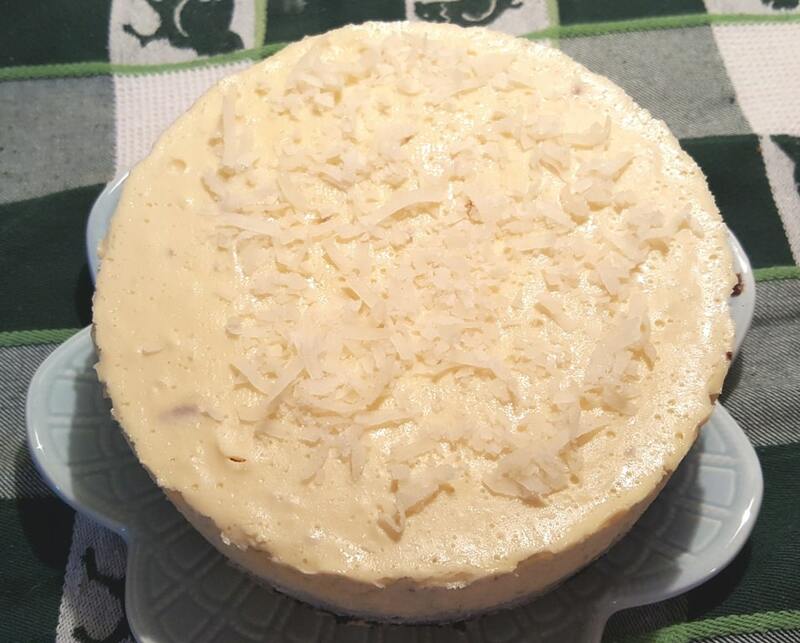 I’ve been wanting to make a Pressure Cooker Coconut Almond Fudge Cheesecake for a while. 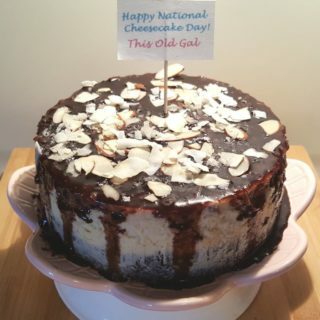 Since it is National Cheesecake Day on Saturday, I thought now is as good a time as ever. If you prefer a plain cheesecake, you might like my New York Cheesecake. 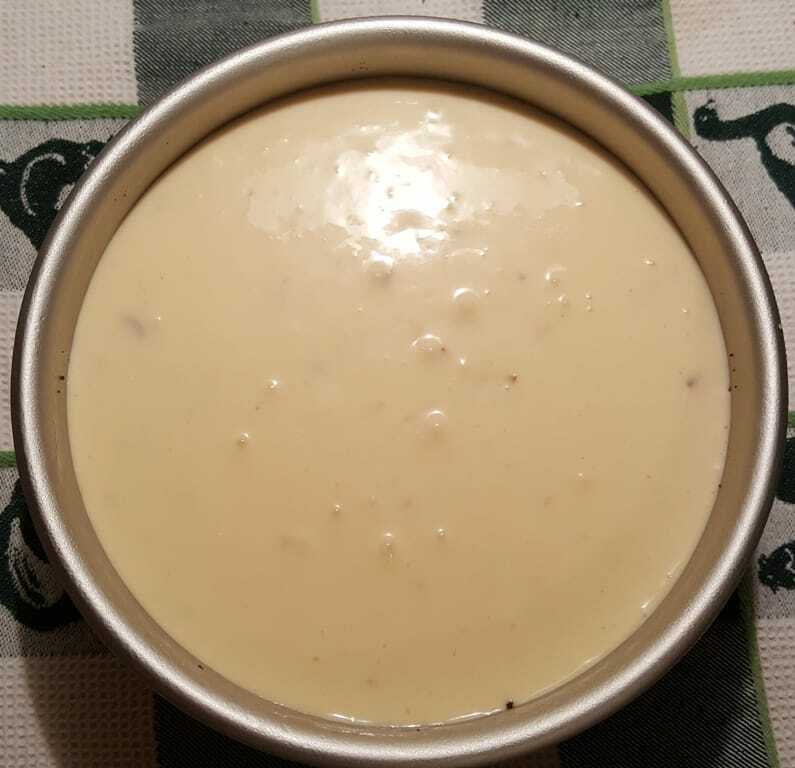 Other yummy Cheesecakes to try are the Meyer Lemon Cheesecake, Blackberry Cheesecake, Cookies ‘N Creme Cheesecake, New York Cheesecake Style Vanilla Bean Cheesecake, Banana Pudding Cheesecake. 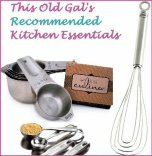 For a lighter cheesecake, try my Italian Ricotta Cheesecake or Italian Meyer Lemon Ricotta Cheesecake, which are 50% less calories. The Pressure Cooker Three Ingredient Japanese Cotton Cheesecake is a totally different take on a cheesecake. 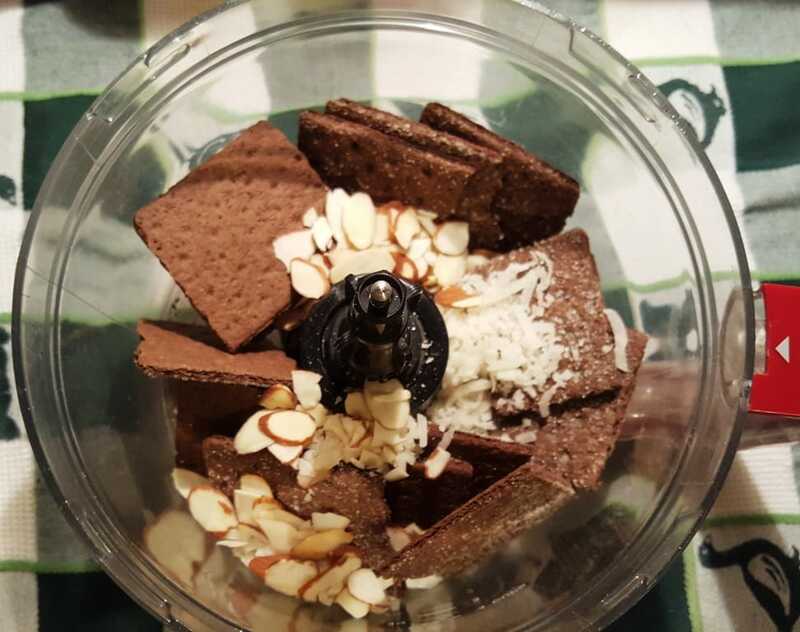 Add graham crackers, Almond Slices, and Sweetened Coconut Flakes into the bowl of a food processor. You will note that I am not adding sugar with the crust. The Sweetened Coconut Flakes adds enough sweetness. If you don’t have a Food Processor, take a large baggie and put the graham crackers inside, seal it and take a rolling pin and crush the crackers. Pulse until small crumbs form. Add melted butter and combine. The crumbs will be slightly wet. 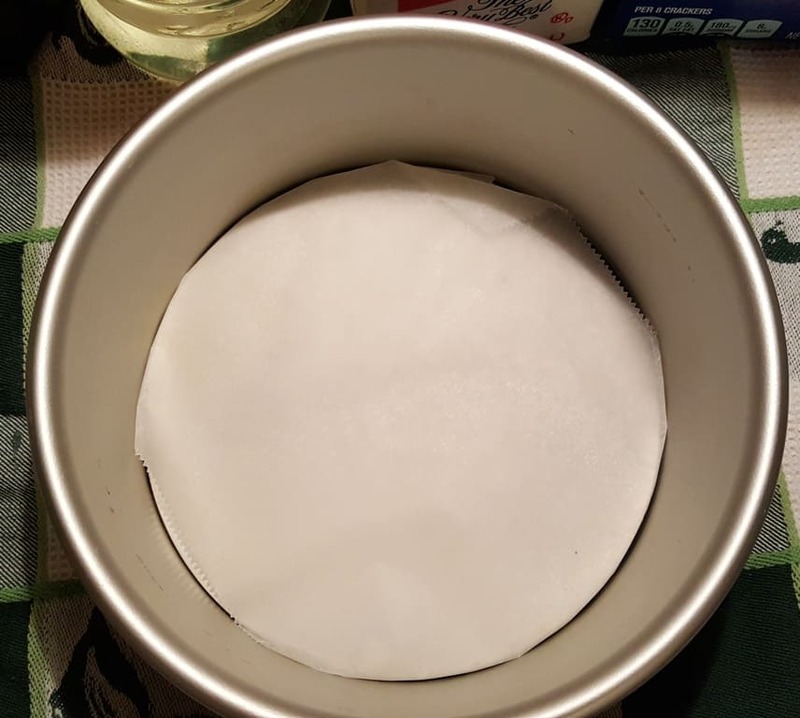 Grease your Cheesecake Pan and then place a Parchment Round inside the Cheesecake Push Pan. Grease the Parchment Paper too. 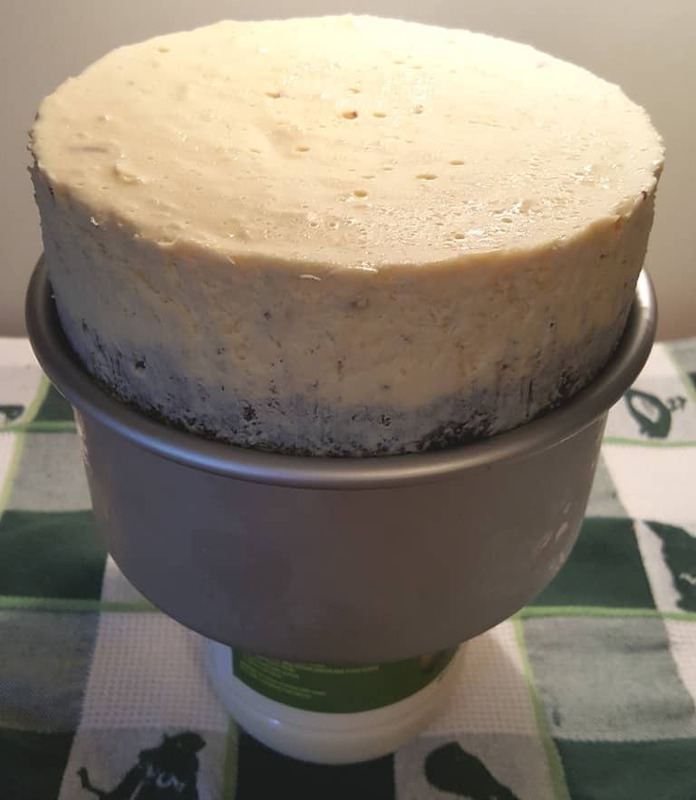 It makes it much easier to remove Cheesecake off the bottom part of a pan by sliding a Slotted Turner between the Parchment Round and the cheesecake. The Parchment Round will peel right off. If you don’t have Parchment Rounds, don’t worry. It just might be a little more difficult to separate the cake from the bottom of the pan. 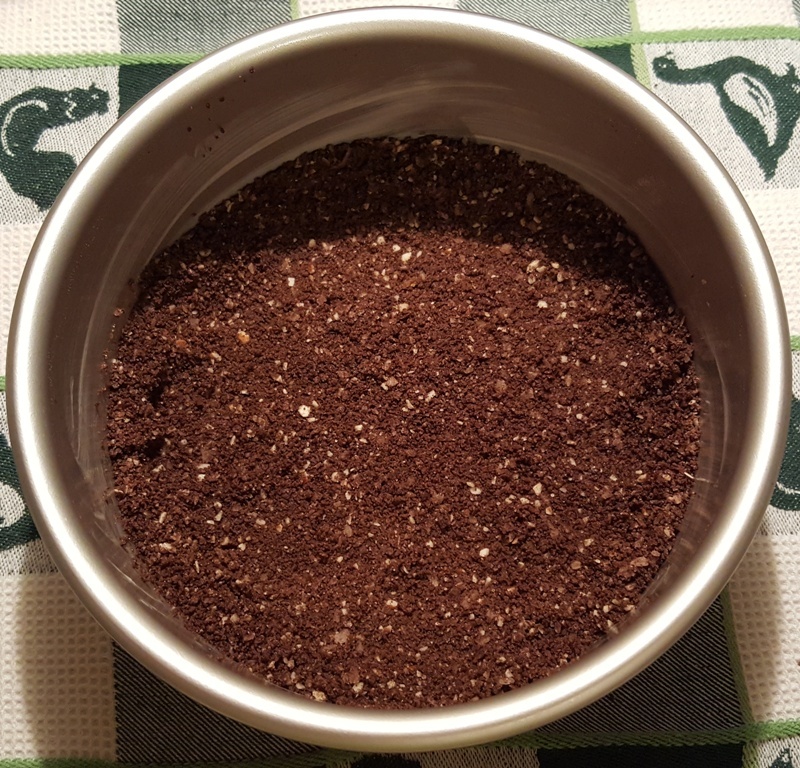 Press the crumb mixture into pan using a Fox Run Tart Tamper or your fingers. Forming a neat border around the edge and slightly up the sides. Don’t go up more than an inch. It is helpful to put the Cheesecake Pan with the crust into the freezer while preparing the filling. 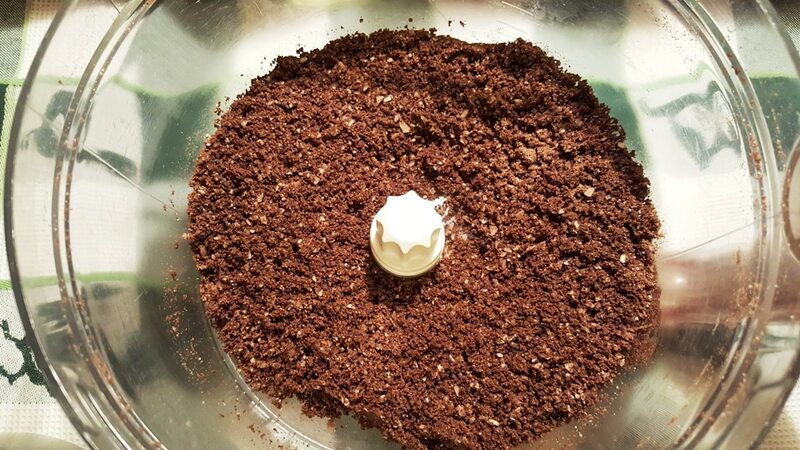 Mix the cream cheese, Vanilla, Sugar, Crème de Cocoa and Tapioca Flour together until well blended. Scrape the sides and blend again. 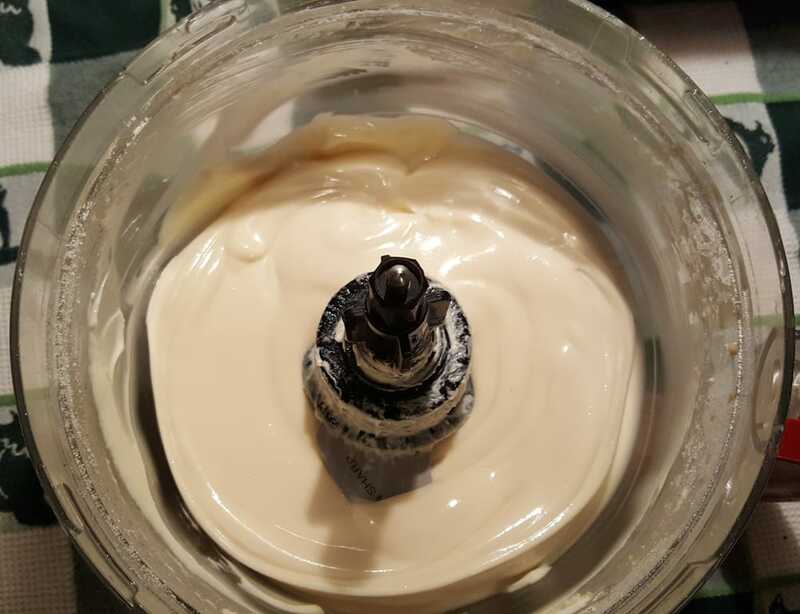 This is the last time that you will put any muscle into mixing the batter. Add the Almond Slices, Unsweetened Coconut Flakes, Sweetened Coconut Flakes, Coconut Cream and heavy cream to the food processor. The Sweetened Coconut Flakes gives the texture and feeling of an Almond Joy candy Bar. I love the Bob Mills Unsweetened Coconut Flakes because the taste is so fresh and the texture is like coconut right off the tree. 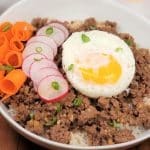 Add in one egg at a time and pulse for no more than one second. 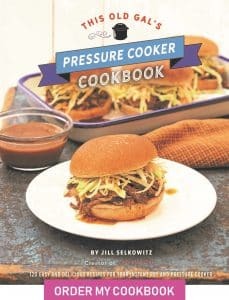 See, Perfect Pressure Cooker Cheesecake Tips & Guide, so that your first cheesecake will be a success. Make sure not to overmix the filling after you have added the eggs, as it will cause the cheesecake to become very airy and will puff up like a soufflé while cooking. Gently use a spatula and scrape the sides and gently incorporate, just enough to combine. Pour the filling over the crust. You should not be able to see the crust at all. 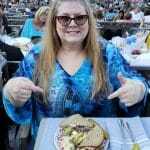 If you see any of it above the filling, you are going to have a soggy crust!!!! Don’t bother to post a photo in the Facebook groups and ask people why your crust is soggy! I’m telling you in advance, it will be soggy. 🙂 Hehehehehehehe! I like to cover my cake pan with a paper towel and a piece of foil, to eliminate water from landing on the cheesecake. If any moisture gets on the cake, just dab it off with a paper towel. 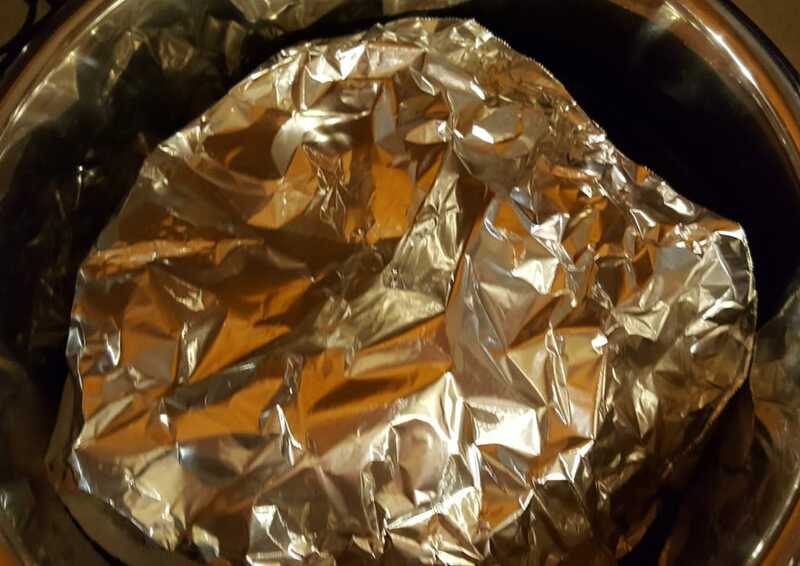 Lower the cheesecake into the Pressure Cooker cooking pot, using your Homemade Foil Sling. While your cheesecake is cooking, make the Chocolate Fudge Ganache and set it aside. 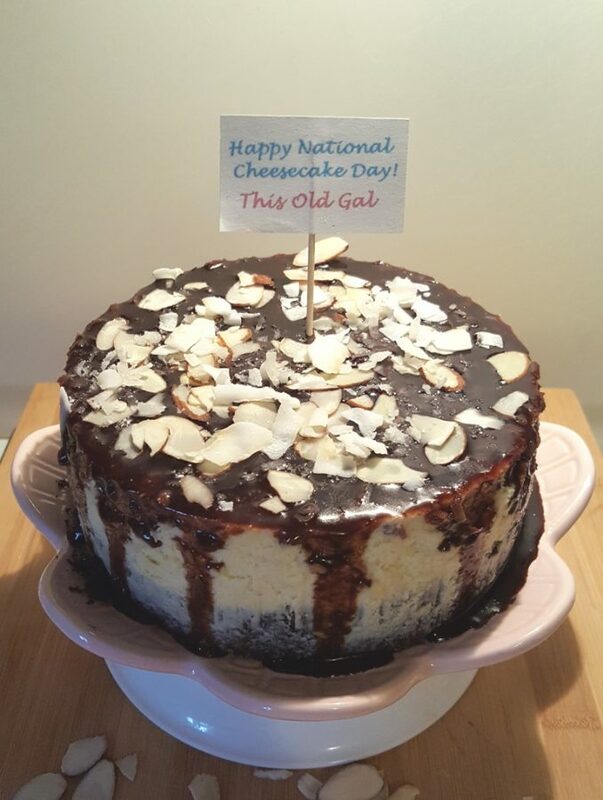 Alternatively, you can make it the next day, while the Pressure Cooker Coconut Almond Fudge Cheesecake is resting in the refrigerator. Allow the Pressure Cooker Coconut Almond Fudge Cheesecake to cool for one hour on the counter. 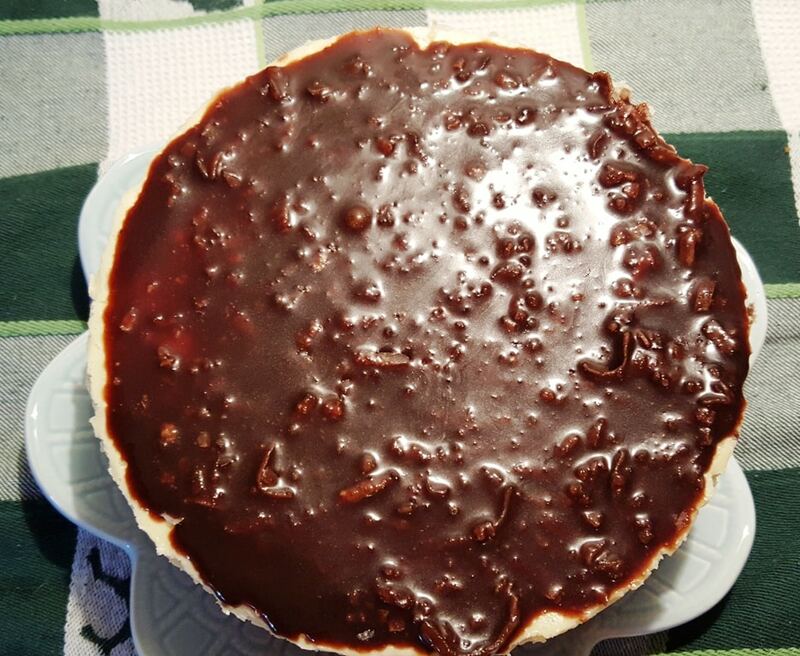 Look how nice and flat this Pressure Cooker Coconut Almond Fudge Cheesecake is….perfect outcome. Place it in the refrigerator overnight. We will decorate it in the morning. Please take note that this Pressure Cooker Coconut Almond Fudge Cheesecake did not deflate at all. The eggs were not whipped or over beat and this cheesecake did not become a soufflé. 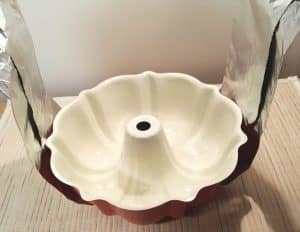 Using a mayonnaise jar or something similar, carefully push down on the cheesecake pan to release the cheesecake pan ring. Sprinkle the Top of the Cheesecake with Sweetened Coconut Flakes. We want this to look like an Almond Joy Candy Bar! Pour on some Chocolate Fudge Ganache and spread over the top. The top will be bumpy, like the Almond Joy Candy Bar. 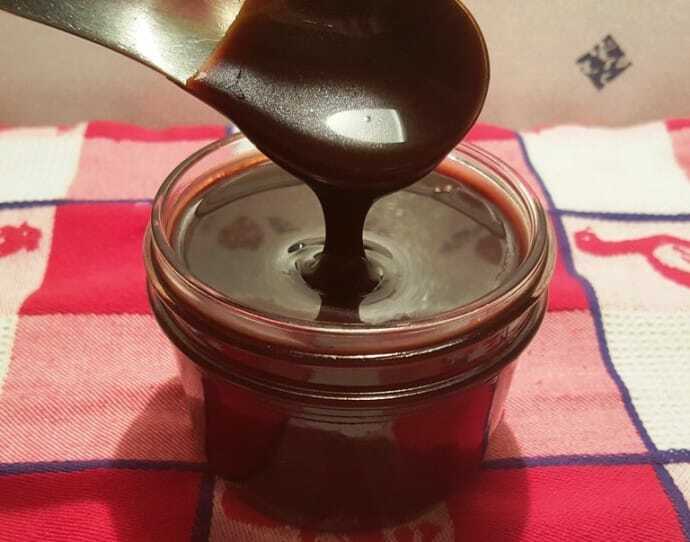 Add some more of the Chocolate Fudge Ganache and allow a little to drizzle down the sides. Sprinkle with Unsweetened Coconut Flakes and Almond Slices. Serve this Pressure Cooker Coconut Almond Fudge Cheesecake with a dollop of Homemade Whipped Cream and a hot cup of coffee! 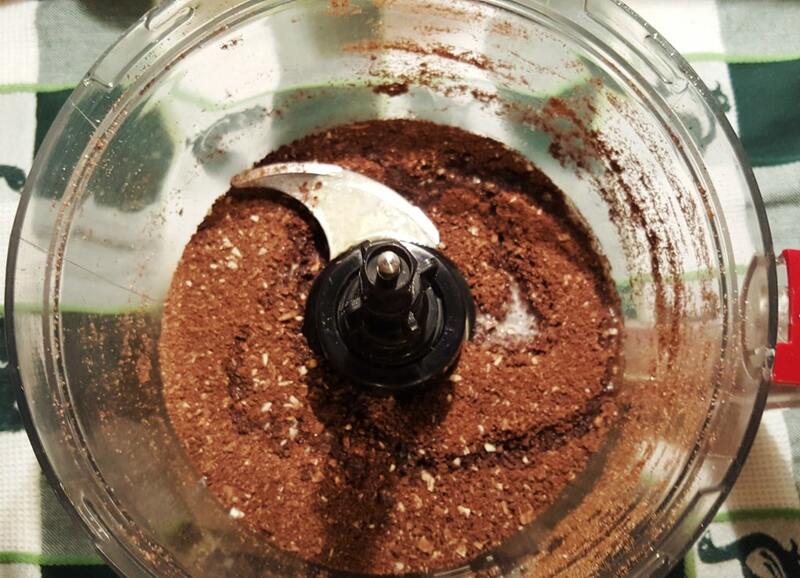 Add cookies, almonds and sweetened coconut to the bowl of food processor and pulse a couple of times, until small crumbs form. 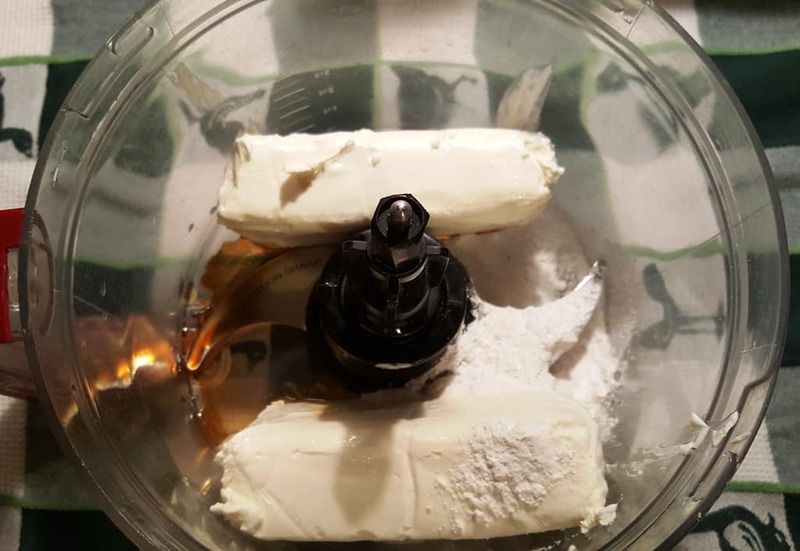 Melt butter in microwave or on stove top and add to graham cracker mixture. Pulse until just combined. Pour cookie mixture into bottom of greased 6-inch cheesecake pan and press the mixture firmly into the bottom of the pan and one inch up along the sides. 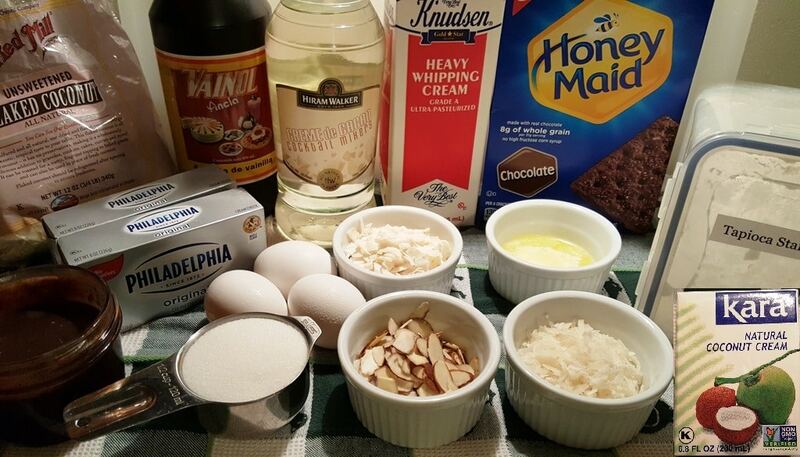 Blend together cream cheese, sugar, Tapioca flour, Crème de Cocoa and vanilla extract until smooth. 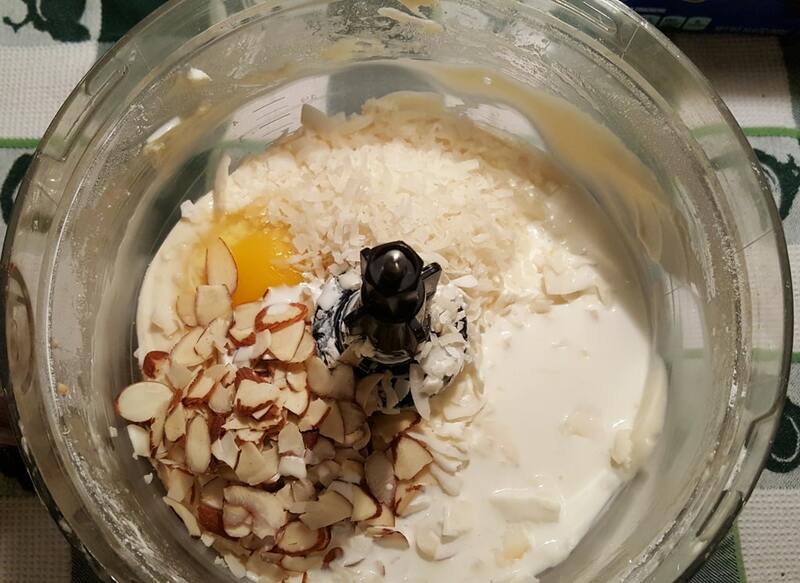 Add unsweetened coconut, sweetened coconut, almonds, coconut cream/heavy cream and one egg to the food processor. Pulse just one second. Add the second egg and pulse one second. Add the yolk and pulse one second. Remove the blade and use a spatula to scrape down the sides and gently combine. Do not over mix the eggs. Pour filling into the pan, on top of the graham cracker crust. Lock on lid and close Pressure Valve. Cook at High Pressure for 35 minutes. Wait 15 minutes and then release the rest of the pressure. Remove cheesecake from the pot and remove foil and paper towel. Dab off any liquid that may have accumulated. 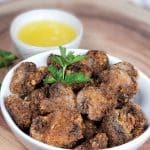 After one hour, place in refrigerator overnight. The sides of the pan can be removed after an hour of refrigeration. Sprinkle sweetened coconut over top and pour on Chocolate Fudge Ganache to cover the top. Add more Chocolate Fudge Ganache and allow some to drip down the sides. 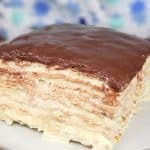 Top with almond slices and unsweetened coconut flakes. If you use a 7 inch pan, cut the cooking time to 30 minutes. I like the height of the cake in a 6 inch pan. The percentage of filling to crust is perfect. PIN this Pressure Cooker Coconut Almond Fudge Cheesecake! I lost the bottom piece of my push pan. Is there any way I can still make a cheesecake in it? Oh no, the bottom piece. I love the Push Pan. 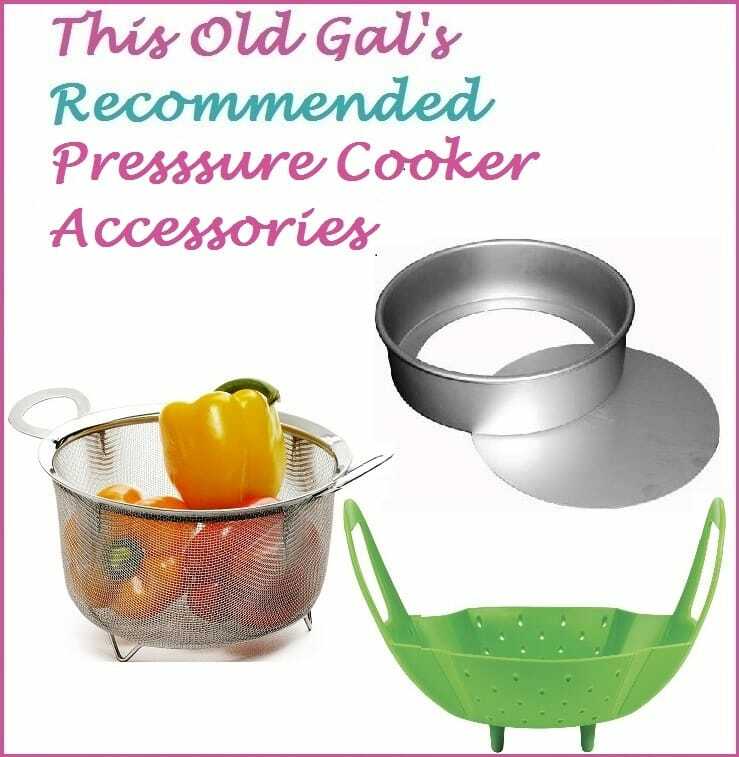 Unless you have a lid or something flat that is the same size of your Push Pan, I cannot imagine what else you could use. You can certainly use another cake pan, if you have. I like to use a 6 inch pan. 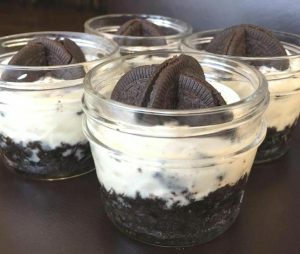 You can also make individual cheesecakes in Mason jars. How many days do you think this will be good for in the fridge? 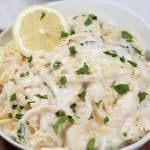 I would like to make this in the mini pans…. what would be the cook time conversion? Thanks!